The Deluxe 4" Falcon Fillet offers superior filleting at a value price. 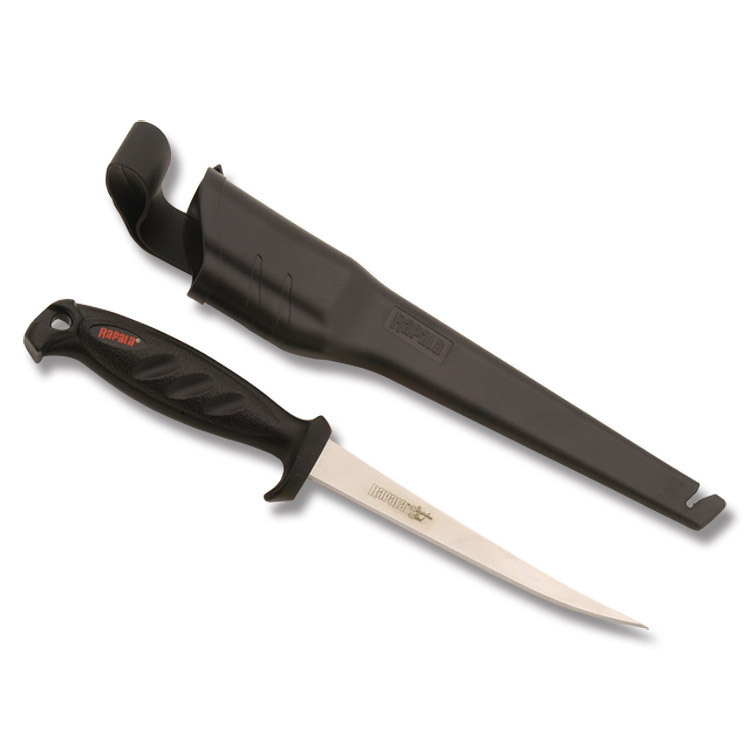 Contoured handle, comfortable and durable enough for arduous filleting tasks, features a slip resistant texture, matched with flexible, stainless steel blade that makes short work of filleting. Integrated finger guard offers protection from slippage during messy fillet sessions. Redesigned multi-purpose hard sheath protects the blade and user. Fine grade ceramic-sticks sharpener is built-into the sheath allowing "in-the-field" sharpening.